Fenced yard, Lawn maintenance included. 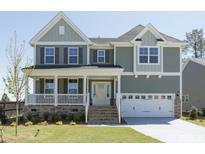 Energy Star Certified home! MLS#2211694. 604. Even the fur babies have a spot in this home via the under stairs pet pad! MLS#2211468. 2714. Spa type owners bath with massive walk-in custom built closet. Circular drive in front MLS#2210758. 1133. Master Bath: Tile Floor, Dual Vanity w/Granite, Blt n Vanity, Custom Cabinets, Separate Tile Surrnd Shower w/Bench Seat! Patio & Screened Porch! MLS#2210723. 1128. Stunning amenities coming soon featuring salt water pool w/ lap lanes and splash zone, clubhouse, community gardens, raised garden plots, playgrounds, dog parks, event lawn, picnic pavilions, access to American Tobacco Trail in the heart of Apex! MLS#2210531. 3789. Stunning amenities are underway featuring pool with cabanas, clubhouse, community gardens, raised garden plots, playgrounds, small & large dog parks, event lawn, picnic pavilions and much more! MLS#2210359. 3789. Ellington - So many upgrades and details included in this exceptional custom home! MLS#2210264. 4919. Walden Creek - Community pool and park are part of the HOA. MLS#2210222. 4823. Check out buyer incentive in agent remarks. MLS#2210023. 3807. Sec. Pre Wire! Relaxing Patio! Wow! MLS#2209439. 639. 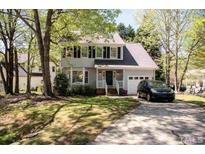 With its large screened porch, window-lined great room with vaulted ceiling, open kitchen with large island, and gorgeous exterior, this BARRINGTON is a home you are sure to be proud of. MLS#2209550. 3789. Stunning amenities coming featuring pool & cabanas, clubhouse, community gardens, raised garden plots, playgrounds, large & small dog parks, event lawn, picnic pavilions & more MLS#2209596. 3789. Known for their energy-efficient features, our homes help you live a healthier and quieter lifestyle while saving thousands of dollars on utility bills. MLS#2209514. 3037. Known for their energy-efficient features, our homes help you live a healthier and quieter lifestyle while saving thousands of dollars on utility bills. MLS#2209541. 3037. Scotts Mill - Trails along the greenbelt and common area maintenance are part of the HOA. MLS#2209483. 4823. Stunning amenities coming featuring pool & cabanas, clubhouse, community gardens, raised garden plots, playgrounds, small & large dog parks, event lawn, picnic pavilions, exercise/obstacle course & more at an unbelievable price! MLS#2209468. 3789. Entered for comp purposes. Call for details! MLS#2209539. 1710. Bella Casa - Third floor is awesome for lots of storage or future expansion. 3 neighborhood pools! 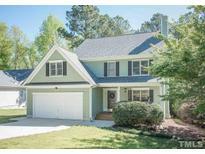 MLS#2209338. 4508. Stunning amenities coming soon featuring salt water pool w/ lap lanes and splash zone, clubhouse, community gardens, raised garden plots, playgrounds, dog parks, event lawn, picnic pavilions, access to American Tobacco Trail in the heart of Apex! MLS#2209355. 3789. Come see the Triangle's first Agrarian community with community gardens, playgrounds and play lawns, small and large dog parks, pool and clubhouse, event lawn, raised garden beds, walking trails with access to the American Tobacco Trail... all coming soon! **PICTURES ARE OF SIMILAR HOME** MLS#2209376. 3789. Known for their energy-efficient features, our homes help you live a healthier and quieter lifestyle while saving thousands of dollars on utility bills. MLS#2209405. 3037. Come see the Triangle's first Agrarian community with community gardens, playgrounds and play lawns, small and large dog parks, pool and clubhouse, event lawn, raised garden beds ... all coming soon! **PICTURES ARE OF SIMILAR HOME** MLS#2209381. 3789. Bella Casa - 3rd floor finished w/half bath & closet. MLS#2209147. 4508. Finished 3rd floor on private homesite. MLS#2208804. 3789.